From June 21-28, 2015, Evelyn will be competing in the first ever Cliburn International Junior Piano Competition! Evelyn performed on Show 249, recorded in March 2012, at age 13. 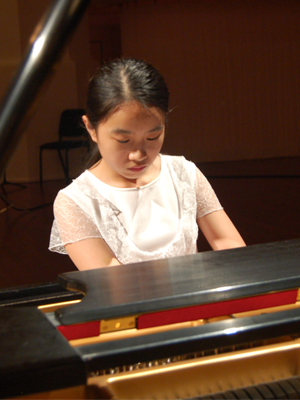 Evelyn Mo (piano), 13, lives in Oak Hill, Virginia and attends Rachel Carson Middle School. She studies violin with Natalia Yampolsky. 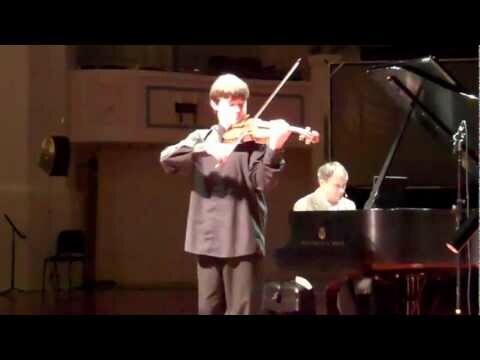 Evelyn is the 2012 winner of the Blount-Slawson Young Artists Competition of the Montgomery Symphony. She won the special judge’s award and second place in the Advanced Division of the Washington Performing Arts Society Feder String Co­­mpetition last year. Evelyn plays first chair in the Rachel Carson Symphonic Orchestra. She also plays the piano and enjoys taking pictures, riding rollercoasters, and reading.